Innova Wellness Spa offers laser skin resurfacing treatments at competitive rates that can fit most any budget. The skin you’ve always dreamed of is now within reach when we establish a personalized skincare plan of attack that will take years off of your complexion. We are happy to provide cutting edge, non-surgical laser skin resurfacing procedures that achieve undeniable results. Our Cutera xeo® laser skin rejuvenation platform is fully customizable, with up to three clinically proven, fully-customizable laser + light-based modules. If you need skincare maintenance or complexion-correcting procedures, xeo® offers myriad treatments. Our Limelight laser facial is a new, non-invasive approach to skin rejuvenation. Improve skin tone and reduce or diminish surface imperfections that come along with aging and advanced photodamage. Limelight can treat the face, neck and décolleté, whether it’s skin redness, telangiectasia (tiny veins), or age spots. We customize your LimeLight Facial to suit your unique skin type, selectively treating pigment clusters and blemishes in concentrated areas on your skin. 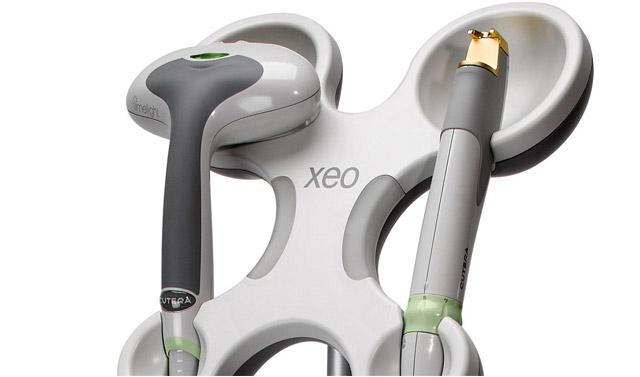 Xeo® comes with a broad menu of intense pulsed light options. Innova Wellness Spa provides a full range of treatments for the signs of aging, diminishing the appearance of fine lines, wrinkles, and dyschromia via deep dermal heating. Our Cutera xeo® + IPL treatments provide contact cooling, soothing the area for increased comfort. There’s no down time with Innova Wellness Spa laser skin resurfacing treatments, which are safe for all skin types. Cost of non-surgical laser skin resurfacing treatments will vary from patient to patient based on the aesthetic ambitions we establish during your initial consultation. In our journey to bring elevated skincare and vascular therapy to our community, we offer competitive rates and flexible options for our patients. Contact Innova Wellness Spa today to learn more about our suite of non-invasive laser skin rejuvenation services. We provide a relaxed atmosphere where you can receive the focused, compassionate care you need, achieving results you never knew were possible.